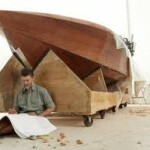 After I discovered a like-minded group called the Vermont Sail Freight Project, the HARVEST idea was revived. 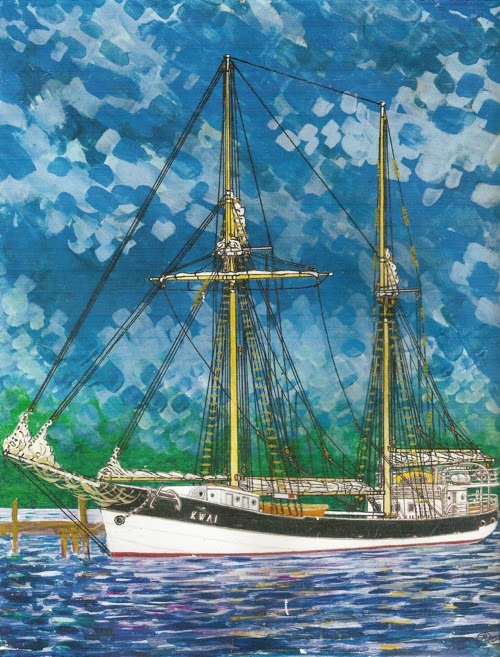 The Vermont Sail Freight Project is “a contemporary re-invention of an historic regional food-way, and is sponsored by the Willowell Foundation of Monkton, Vermont. In 2013, the Sail Freight team, led by farmer Erik Andrus and Willowell staff, started building a simple low-cost sailing barge 39 feet in length, 10′ in beam (width) and with 12 tons of cargo capacity with which to trade Vermont-produced foods in New York City and the Lower Hudson. HARVEST and the Vermont Sail Freight Project are both considered “short sea shipping.” Short sea shipping is any movement of freight by water that doesn’t cross oceans such as freight ferries, short-haul barges and various other marine vessels. Both public agencies and private companies are investigating the potential economic and environmental benefits of transferring more cargo from road to sea. The New York metro region, home to the Port of New York and New Jersey and an extensive network of waterways, seems well-suited for this mode of freight transport. 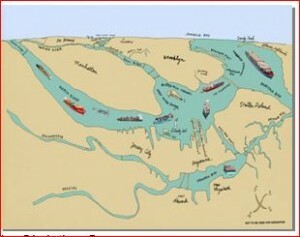 The Port of NY/NJ is the largest port on the east coast and the third largest in the US. In 2010, over $175 billion worth of cargo flowed into and out of its terminals. For the freight that is offloaded at these facilities, this is just one stop in an extensive intermodal distribution chain. In New York City’s metro region, 80% of freight transport is carried by truck, a practice that congests our highways, increases air pollution, and is entirely dependent on fossil fuels. 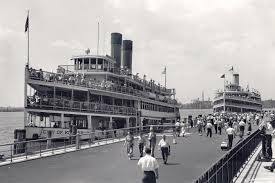 Historically, thousands of vessels plied the waters to and from cities on the Harbor and the farming areas of New Jersey and the Hudson Valley delivering fresh local farm produce, fish, shellfish, and passengers to ports along the way. The Hudson River and the Harbor was once a bustling highway linking even the smallest communities into a web of regularly scheduled routes. 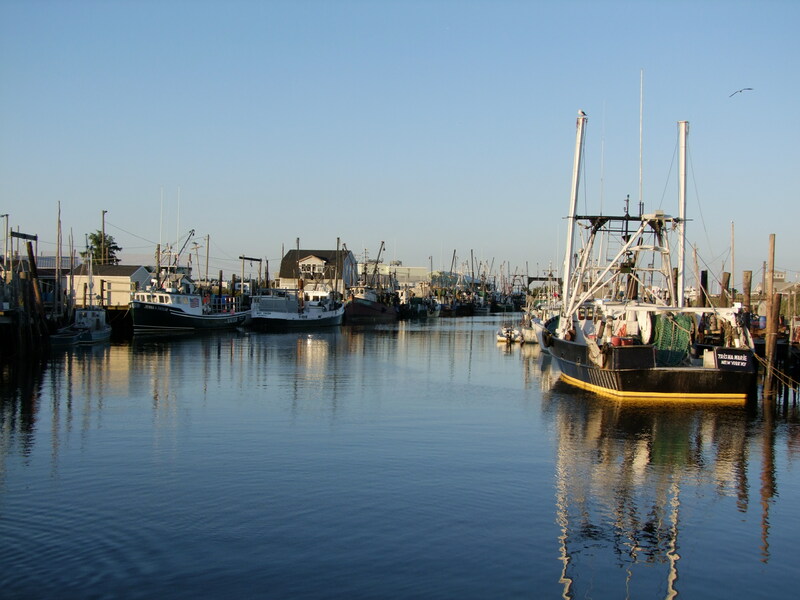 Farmers and oystermen relied on this vibrant and diverse fleet of vessels to bring their goods to market and to receive supplies. The schooners, sloops, and steam boats provided a unique way of life for early inhabitants. 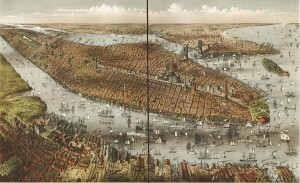 For those who worked the inland waters of New York City Bioregion, the sea was a common element in their lives. Today, the water highways still exist and need to be reinvigorated. Maintaining maritime trade routes is more than just a celebration of tradition. In a carbon constrained future sustainable water transport will be necessary and in the event of a regional disaster water-based community links can serve as vital infrastructure to New York City Bioregion. HARVEST will facilitate the delivery of locally grown agricultural products, local seafood, pelletized biomass, artisan crafts, and perhaps containerized urban compost as a back haul to and from New York and New Jersey farming and fishing communities. The proposal is to build a seasonal or year-round transient floating farmer’s and fishermen’s market fleet that visits public docks in many New York Harbor waterfront communities selling fresh produce, seafood, and other local products right off the boat. HARVEST’s mission will be to support sustainable local agriculture and inspire facilitate healthy eating, as well as to preserve and share the maritime heritage that was once an essential element of the Hudson Valley, Long Island, and Northern New Jersey. At this point in time HARVEST is still a concept, but given the energy, economic, and environmental issues facing the New York City Bioregion, perhaps it is an idea whose time has come. Many people have been thinking about how to transport farm goods, forest products, and seafood from small ports along the Hudson River, Long Island and Connecticut, a the Raritan Bayshore (NJ), Lake Champlain, and the Erie Canal. One project is the Hudson River Food Corridor Initiative sponsored by New York City Soil & Water Conservation District. The Hudson River Food Corridor Initiative will study the feasibility of an alternate means of transporting fresh produce from agricultural regions in North-Central New York near the Hudson River and Long Island to the New York-Newark Metropolitan Area. The analysis considered development of an intermodal option utilizing refrigerated containers, and alternative energy sources to power the refrigeration during transport and storage. The vast majority of fresh produce arriving in the New York metropolitan area comes by trucks that contribute to congestion on area bridges, tunnels and roads. The U.S. Department of Transportation will work with the New York City Soil & Water Conservation District, the I-95 Corridor Coalition & New York State DOT to better understand the feasibility, benefits and potential efficiencies of this alternative. Analysis and research will further help develop the concept and identify specific opportunities where DOT can provide support. Another is the Hudson River Foodway Project, that is a truck roll on-roll off barge project. Both of these projects are still in the planning stage and again entirely dependent of fossil fuels. HARVEST has benefits in several areas: food, health, responsible consumption, community development, citizen participation, sail training, regional planning, and job creation (in farming, logistics, ship building and maintenance among others). The possible gains by incorporating the HARVEST transportation model and local food and power include: improving the diet, disease prevention, and recycling of organic waste and reusing inorganic waste, carbon sequestration, reduction in costs associated with transporting food ; responsible consumption, increasing self-esteem. Local agriculture and “floating farmers markets” can have educational and therapeutic purposes by inviting us to reconnect with the cycles of nature. HARVEST’s business model promotes the preservation of biodiversity and agricultural knowledge that many people still have, and re-establishing the link between urban dwellers and their food. 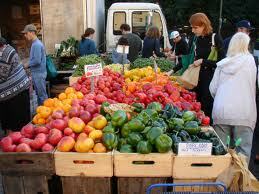 Local agriculture is experiencing a major upsurge around the world. From pressure to allow chickens on small urban lots, through public Permaculture food forests in, to new community garden projects, and an exponential increase in local sourcing by restaurants, and through farmers markets. Growing food is no longer something that’s only being done “out there” in the country. Cities are islands of near-total food dependency, in the midst of an ocean of mass-scale, petrochemical-reliant, monoculture food production. And the global industrial food system, which has so effectively systematized and expanded the production of all major food staples, is nearing collapse. Around the world, aquifers and soils are being depleted, land is being salinized and accumulating toxic pollutants, genetic drift from GMOs is threatening the viability of seed crops, bee colonies are collapsing, deserts are encroaching on productive land, food transport costs are rising exponentially at the same time as food travels ever farther from field to plate, and major crops are experiencing catastrophic failure as a result of climate-change related weather patterns. Cities benefit from the increased convenience, beauty, and healthfulness of growing our own food, and accessing nearby food sources; we may actually need it. In the middle of the last century, nearly 80% of the food consumed in the New York/New Jersey metro area was grown here; now that figure is closer to 15%. This makes us extremely vulnerable to any kind of interruption in the food supply. As climate change makes extreme weather events more frequent and peak oil makes fossil fuel costs rise exponentially, it seems unlikely that we can continue to have food on our plates that has traveled an average of 1500 miles. The need to create green jobs, reduce food miles, get farmers and consumers together, help re-build the local food system, and support regional processing, distribution, and marketing. Urban designers and planners using food and the way it gets grown, processed, packaged, marketed, distributed, eaten and recycled to reshape our cities. Community developers tying health, environment, education, employment, transportation, waste recovery and more together with local food . Produce is grown/sold/delivered with minimal use of fossil fuel consumption, low carbon footprint, reduces waste as on site composting recycles vegetable, fruit, coffee, and fish scraps from the farm and the community. HARVEST will offer educational and cultural opportunities and provide a venue for cooking demonstrations, readings, and lectures from visiting experts. Local schools would not just be invited to observe but will be true partners through classes, workshops, training, and employment opportunities for students and graduates. communities on a regularly scheduled basis. Open to the public at each port of call, these boats will serve as both floating farmers markets and part of a larger cultural change – fostering civic involvement and contributing to the unique character and vitality of NY/NJ Harbor waterfront communities. The trend is for ecological and sustainable growing techniques have created a demand both for fresh local produce both in city food deserts, and in upscale markets and restaurants. Local farmers can have stronger relationship with chefs and restaurants that are interested in fresh, organic and locally grown food. Produce and fish is sold as close to possible from harvest preserving high quality and eliminating loss in transport and storage. 100% demand is within close proximity. Some significant amount of sales can be made at the dock or nearby using bio-diesel or human powered vehicles. By contrast, trucking from the Hudson Valley or Long Island (or for that matter from California or South America), is more economically and environmentally expensive. Reduced distribution costs will allow for a higher profit margin on sales, passing the efficiency onto the farm and the consumer. With a projected 5th year revenue $5 million, HARVEST would represent about 1.5% of the New York Metro area’s approximately $300 million dollar organic food industry, however it can have a significant impact on the food supply in the municipality in which the facility(ies) are located. HARVEST is not dependent on creating a new market or shifting a significant consumer behavior pattern. HARVEST will be will be a financially sustainable shipping business moving a variety of agricultural goods from local farms, fresh fish and shellfish from the Belford Seafood Cooperative or Long Island Sound oyster farms, carbon neutral, and general cargos to the New York metropolitan area from ports along the Hudson River, Raritan Bay in New Jersey, and Long Island Sound. HARVEST will be both a for-profit and an experiential education organization whose mission is to share the experience of local maritime heritage by providing active participation in the delivery of farm produce and other essential goods by water. HARVESTwill be fashioned to provide an alternative, less carbon intensive produce and general cargo service based on a business philosophy that takes into account a triple bottom line – economic, social, and environmental benefits. HARVEST will market its services to farmers, fishing cooperatives, and general cargo brokers, and logistics companies as a lower emission/carbon neutral alternative to shipping by truck or rail within the Hudson Valley, northern New Jersey, and western Long Island Sound. 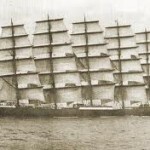 The key advantage that a water-centric maritime distribution system has today over the historic vessels of a century ago is that internet communication can be utilized to virtually represent food producers to convey the type and quality of goods offered before the boats arrive at the dock. Goods are either sold by the ship’s crew or by the food producers themselves who pay a fee to participate as they would in land based farmers markets. However, the value-added attraction of a water-side venue coupled with appeal of historic maritime flavor will deliver much more than just the typical market experience. A CSA type program will be offered in many of the communities HARVEST plans to serve. 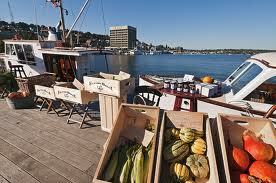 CSA Members will be able to pick up seasonal farm fresh produce each week at the dock. Non-members will be able to purchase items off the boats as well. However, CSA members will have the advantage of selecting goods before the market opens and ability to request specific items for future deliveries. The goal is to eventually service ten different ports on the Hudson River and the Harbor with at least three primary HARVEST vessels working weekly routes. Each boat will be staffed with a captain and deckhand plus part time interns and volunteers. HARVEST vessels can have cargo hold refrigeration capability to keep food fresh as the vessel progresses along its weekly route. The vessels will be loading and off-loading cargo at different ports and, in some cases, assembling CSA member allotments along the way. There will be many opportunities for youth program participants, interns and volunteers to learn first- hand about maritime operations from managing cargo manifests to experiencing navigation on The Hudson and the Harbor. It is envisioned that HARVEST vessels will typically spend a day in each port on their route in order to transact sales, load cargo, give tours, host entertainment, share stories, and conduct food demonstrations that help patrons learn about local sustainable agriculture. Other vessels of varying sizes and types along with their produce and craft vendors will be invited to join the primary farm product delivery vessels at HARVEST Market Events where space is available. 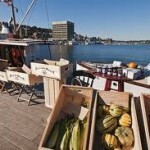 One of HARVEST’s purposes is to coordinate, schedule and promote the floating market concept and expose visitors to the traditional working maritime heritage of the Hudson and the Harbor. In order to provide integrated services HARVEST will form strategic partnerships with the Hudson River Food Corridor Initiative, The Vermont Sail Freight Project, the U.S. Merchant Marine Academy’s Alternative Power Project, the Hudson River Foodway Project, NRDC, The Urban Assembly New York Harbor School, South Street Seaport Museum, tug and barge companies, Grow NYC, Lower Hudson-Long Island Resource Conservation & Development Council, Departments of Agriculture in CT, NY and NJ, private and non-profit entities with waterfront access (Amsterdam Market, South Street Seaport Museum, Lower East Side Ecology Center, The River Project), farmers, fishermen, artist/craftsmen, and restaurants and retailers with a green agenda. The Urban Assembly New York Harbor School, maritime academy students, interns, and volunteers will be invited to be part of the crew and will learn about the logistics of coordinating and transporting cargo between local ports and communities. The following are sketches of one possible version of the HARVEST prototype. 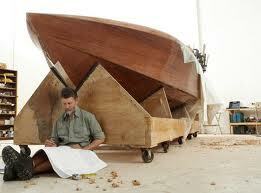 The sketches came from boatdesign.net from December 10, 2008 by a poster going by the name of Pfennig. 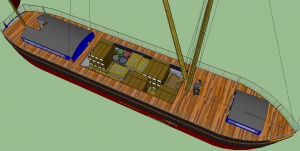 His post says in part, “I’ve been following the Dutch Barge LRC discussion with great interest…. The design I have been working on isn’t quite a Dutch Barge in styling, but it’s closer in concept. 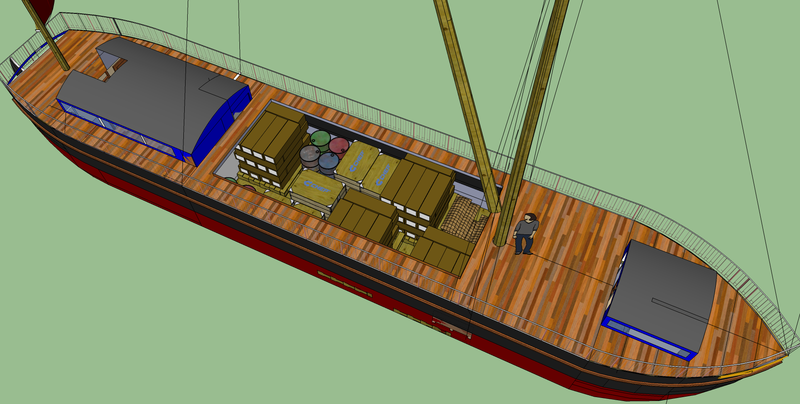 It’s similar to a barge in that it’s mostly flat bottomed (though it has some rocker to it, rather than purely flat). 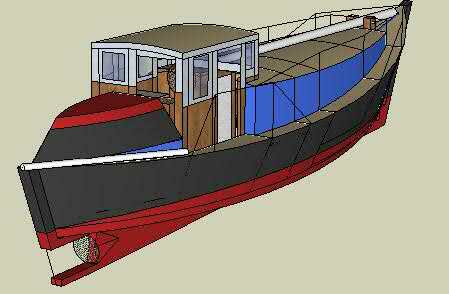 It is designed for…UK canals – the draft is 3’1”, the maximum width is 10”10”, and the air draft can easily be reduced to only 6’6” by collapsing the masts and the house.” (making the vessel useful for transit through The Erie Canal and on the Raritan, Hackensack, and Passaic rivers). 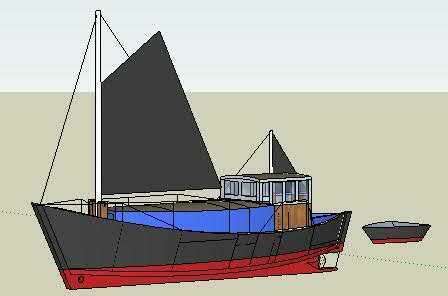 This design is similar in several ways to the Vermont Sail Freight Project prototype. Develop written and web based materials, develop a government and public relations plan. Prepare materials and present proposal at relevant conferences and meetings. Work with the EPA and State Environmental Agencies to “adopt” the zero emission/carbon neutral model as a way of driving compliance with air quality standards. Explore the market for carbon offsets and carbon credits available to the maritime shipping industry. 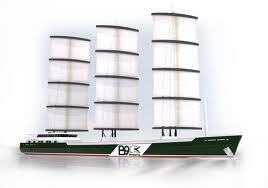 Contract with a naval architect to make sure that the ships comply with US Coast Guard regulations. Develop a marketing plan to determine if the services provided for this type of ship on the routes intended will be of interest to Fair Trade goods brokers, wholesale and retail food businesses, restaurants, compost, and biomass (wood pellet) consolidators or manufacturers. Meet with the Port Authorities, state and federal agencies, Port advocates, logistics companies, and other port businesses and agencies to actively participate in and support the building, and deployment of zero/low carbon emission ships to reinforce their commitment to a cleaner, more compliant Harbors. Identify and work with the business, educational, and environmental partners for the ambassadorial and education mission. 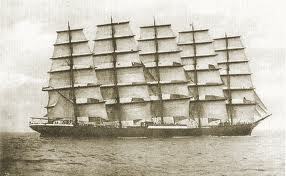 Begin to develop the sail training and research component with regional maritime academies, the Harbor School NYC), and academic institutions using existing regional sailing vessels. Explore partnership opportunities with the U. S. Merchant Marine Academy to implement its alternative power project and a cadet sail training program. 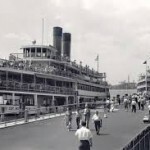 This entry was posted in Uncategorized and tagged B9 Shipping, Bowsprite, Farm Boat, food deserts, Foodway, fossil fuels, Harvest, Hudson River Foodway, local food, low tech magazine, Sail Transportation Network, Tugster, Vermont Sail Freight Project by Andrew. Bookmark the permalink. Can’t wait to meet up and discuss all this exciting and potentially transformative stuff with you. Certainly whatever we learn this year will be there for HARVEST to benefit from. Count on VSFP’s friendship and support as we both progress. Hi, Andrew. Impressive piece of work product here. You’re definitely on to something here. My enterprise Revolution Rickshaws executes services on one of the “missing links” of your vision – which you do mention at one point: “human powered vehicles”. RR is working on another missing link, and I’d love to discuss that element and others with you, if it pleases you. I also am the largest single investor in the Ceres project via Kickstarter, as far as I know – and I can hardly wait to join the crew on part of its maiden voyage. Good stuff to date, Erik! I’ll be at the permaculture event in Quebec in July, in case anyone is participating – bike to train to bike, of course. No ferries running NYC to VT… yet! 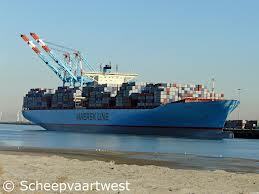 Sailing cargo across the Atlantic soon! 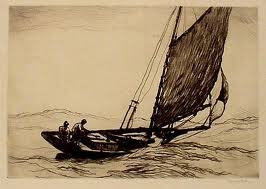 Fair winds and keep us informed! And work together? A bientôt ! Inspiring, exciting, and urgently needed vision! I’m honored to be among those who have helped provide funding to Erik and the Vermont Sail Freight Project. Had a great visit to the farm/barge-building site (and rice paddies) last month in VT.
As a resident of NYC I’d love to learn more about HARVEST and lend support however I can. Our bioregion needs HARVEST to happen and help lead the change to more sane, just, and local economies.